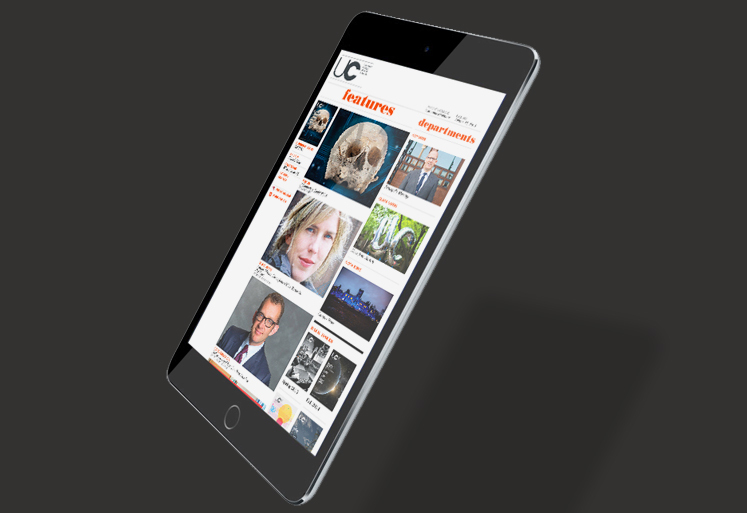 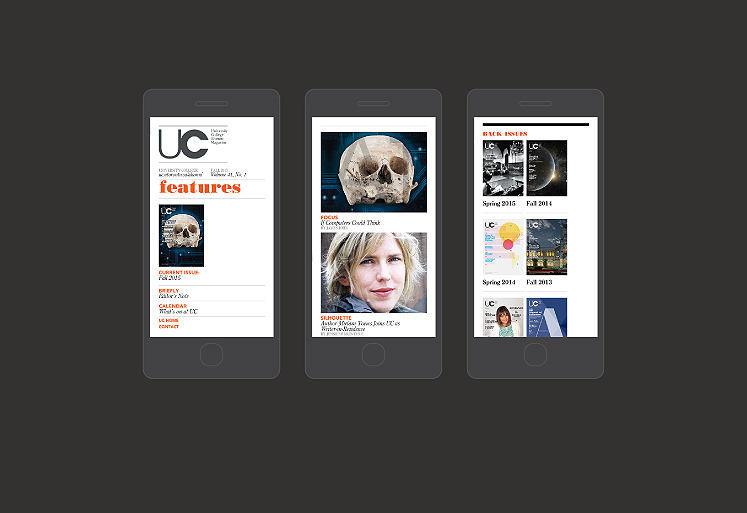 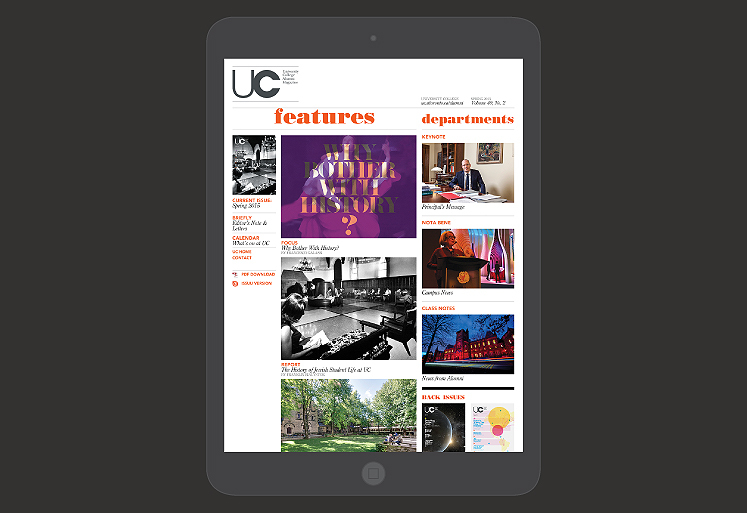 As extension of the University College Alumni Magazine (UC Magazine), typotherapy was commissioned to develop a website and a mass email correspondence to give UC’s readers alternative ways to consume the magazine. 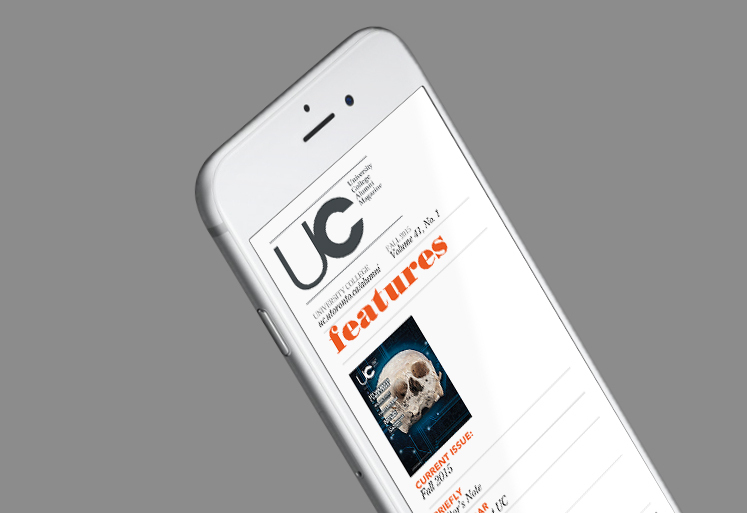 The email and website revolved around the design of the magazine’s table of contents and showcases the featured articles and departments. 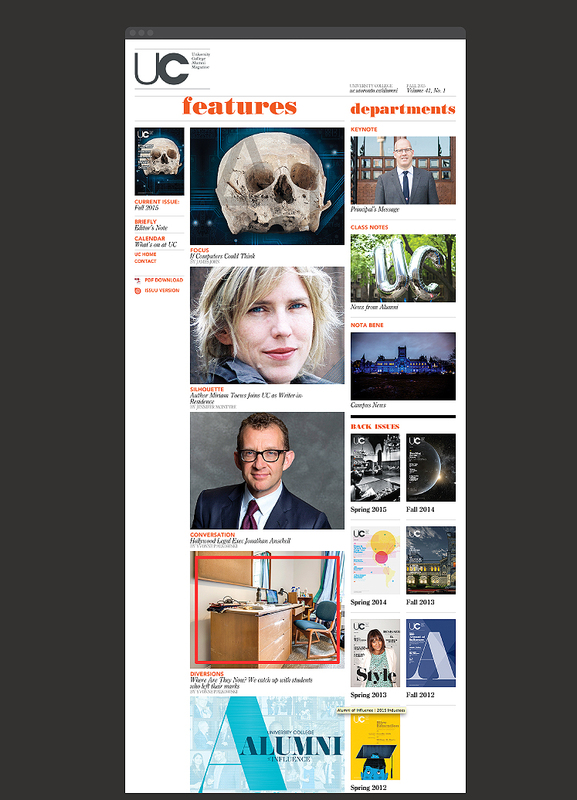 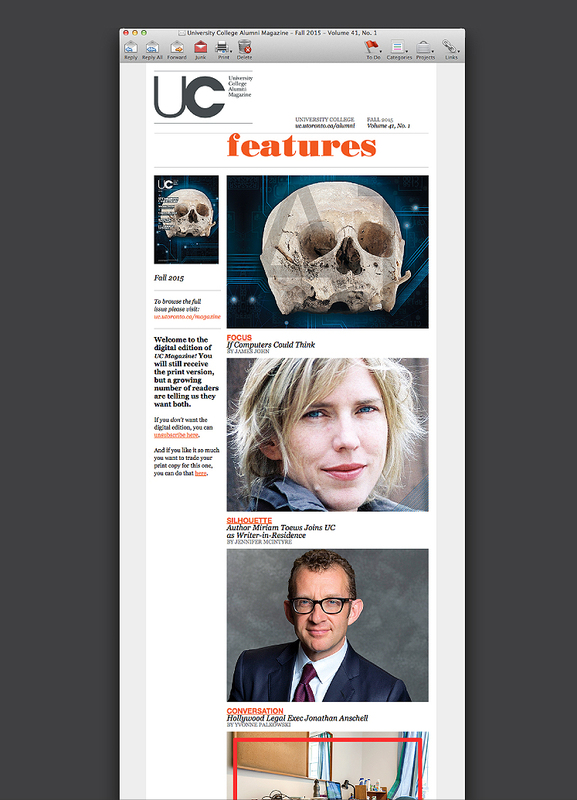 The website also links to digital versions of the magazine as well as pervious issues.